Oh man you guys! Powtoon’s January Feature Release is here. This is big… Think 17-layer burrito big. The features released by Powtoon this month are so magnificent, so technologically sleek… and yet so easy to implement, you will actually be able to create professional-looking videos without having to struggle with heavy video-production tools. So, what could I possibly show you now to justify a statement like that? 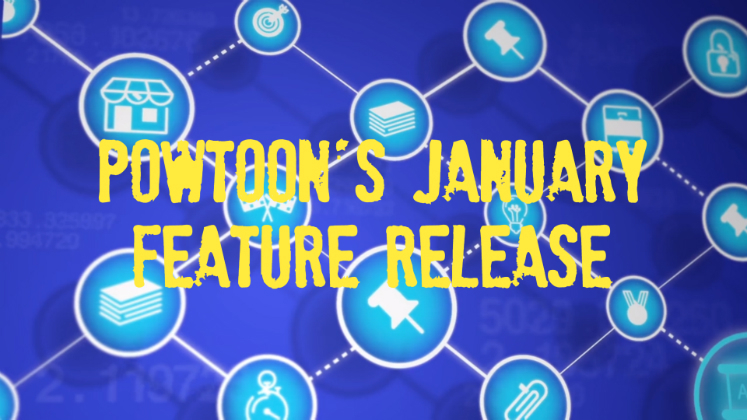 Powtoon’s January feature release, That’s what! Let’s start with our supercharged creative team; this month they designed new fonts, Bitcoin animations and sparkly wowzer decorations. So, if you’d like to talk about the latest cryptocurrency, or have your objects pop, zzzap and swirl onto the screen, in a never-before-seen font style, you’re GOLDEN! 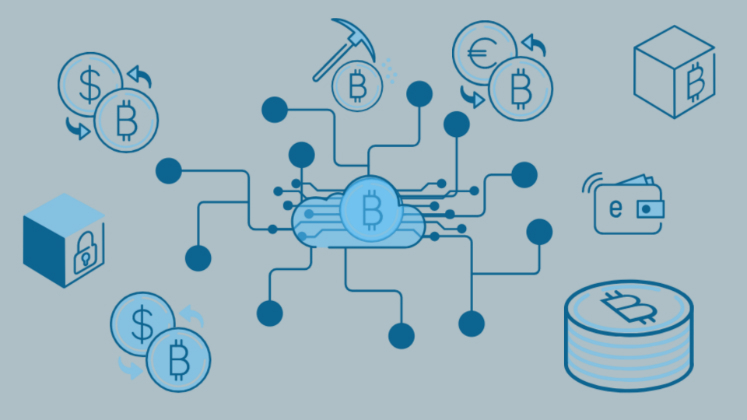 Explaining Bitcoin to your audience? We’ve got you crypto’d! Ok, this is a real game-changer; every business professional’s dream: pre-designed YouTube Bumper ads, each ad template conforming to YouTube’s 6-second pre-roll guidelines. This means that your marketing and sales team can whip up a professional advertisement, that is optimized for YouTube, in almost no time, with no need for designers. All you need to do is add your logo and brand message. That’s it. Done. 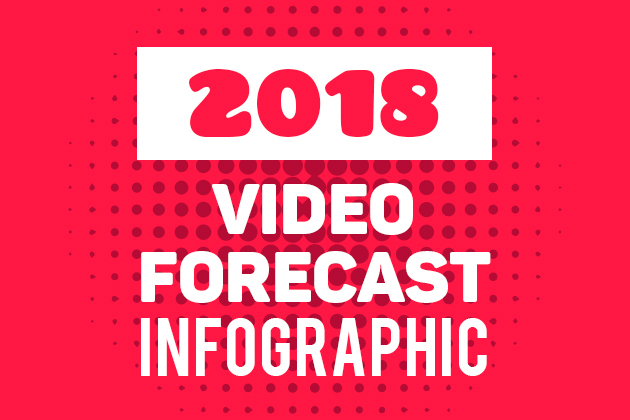 We worked closely with the team at YouTube to optimize these formats in a way that any brand can customize and use, RIGHT NOW! Your optimized 6-second ad starts with you customizing something unskippable! In addition, Powtoon added a whole library of 6-second music clips so you get the exact sound you’re looking for without needing to clip and cut soundbites. Save that perfect slide to use as a scene again and again! One of the most frequent requests we get from Powtoonists is to have the ability to save any slide they’re working on to use in future Powtoons. The wait is over! 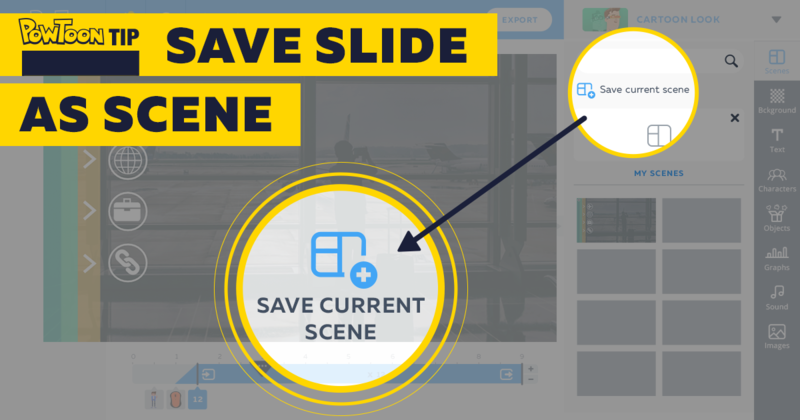 Save Slide as Scene is here! With this tool, you can click on any slide and save it for future use as an instantly-clickable Scene. For example, if you’ve created an introduction for a company explainer, and you would like to include that intro in every future commercial (or even add it to past Powtoons), just save that slide as a Scene. Now, that perfectly timed scene you’ve worked tooth and nail on will be safe and secure in your My Scenes folder — to be used over and over again whenever you’d like! If you are unfamiliar with Powtoon’s A to B tool, it lets you to move any object from point A, to point B. Simple enough, right? The real magic happens when you play around with the object in question, changing its size or orientation. By placing an enlarged image over an existing image (i.e. moving from BIG to small), you can create a zoom out effect. To zoom in, just do the reverse. You can also create a scrolling effect (the perfect trick for featuring products on ecommerce platforms). But until now, the timing of the object’s motion was automatic. Not anymore! Now YOU can control time! It’s so simple! Let’s say you are creating an ad for a new airline; you can make the plane jet across the page in two seconds, or move slowly and peacefully in the background over the course of 8 seconds (or stretch it out over the entire time the plane is on stage). The same applies to cars, people, your own uploaded media, and every single object in the Powtoon library. Full control of time and space — and you don’t even have to get up to 88 miles per hour! Preview those videos before you choose them! Video thumbnails are great, but they are limited. How can you look at one little rectangular image and predict what the whole video is about? The answer is that you can’t. 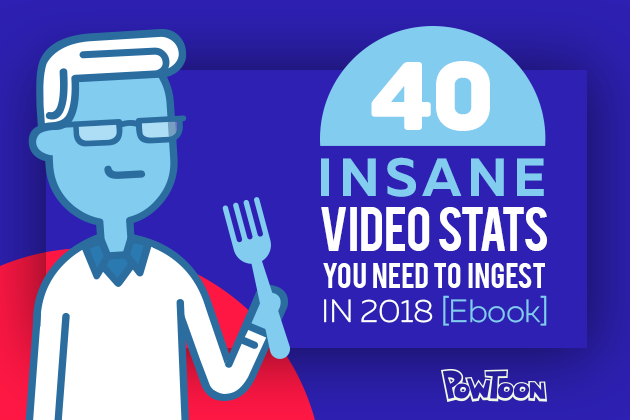 This is why Powtoon added a “Preview Video” feature to every single one of our over 115,000 live-action stock videos from Storyblocks. Simply hover over any video thumbnail, and a pop up will play the entire video. If you like what you see, just click, and it instantly becomes your background. If you don’t think this video is a match for your Powtoon, move onto the next thumbnail. January Feature Release: Background Time! The beautiful thing about backgrounds is that before you see text, or moving characters, or hear voiceover, or music… you are instantly transported into the mini world that fills the background of your video. Is it a soft blue sky? A crowded office full of cubicles? Or, perhaps a cold, snowy, midnight scene? Well, if your working in the Powtoon Studio… your options are ENDLESS! Now that you discovered all the cool new goodies Powtoon released this past month, we would love to hear your thoughts! Have you tried out any new effects or added new objects or backgrounds to your Powtoons? What would you like to see in the future!? Let us know in the comments below!